Most believe there are no provisions for the timing of events in the bible. This has been bred into us as so many have tried to place dates for various events only to see that day go by without any results. I believe there discernment was a little off, perhaps they didn’t understand the scriptures as Jesus said in Matthew 24:36 But of that day and hour no one knows, not even the angels of heaven, but My Father only. But Jesus also said in Matthew 16:1-4 Then the Pharisees and Sadducees came, and testing Him asked that He would show them a sign from heaven. 2 He answered and said to them, “When it is evening you say, ‘It will be fair weather, for the sky is red’; 3 and in the morning, ‘It will befoul weather today, for the sky is red and threatening.’ Hypocrites! You know how to discern the face of the sky, but you cannot discern the signs of the times. 4 A wicked and adulterous generation seeks after a sign, and no sign shall be given to it except the sign of the prophet Jonah.” And He left them and departed. Any dates used in this book come from the KJV Bible. Please check out the dates yourself to insure what your reading is the truth. Matthew 24:32 & 34 (KJV) “Now learn a parable of the fig tree (Israel); When his branch is yet tender (new), and putteth forth leaves (Israel became a nation in 1948), ye know that summer is nigh: Verily I say unto you, This generation shall not pass till all these things be fulfilled.” When Jesus spoke these parables, He was in Jerusalem discussing the end time events with His disciples. Jesus used the fig tree in two ways. To explain: Branch is tender, or “new,” and putteth forth leaves. This is equal to Israel becoming a nation to explain to us these events. He used the fig tree as in the Old Testament Hosea 9:10, and in Jeremiah 24 “I saw your fathers as a first ripe in the fig tree at her first time,” pointing out Israel as the fig tree. Luke 21: 29-30 “Behold the fig tree and all the trees; When they now shoot forth, ye see and know of your own selves that summer is now nigh at hand. “Again, Jesus was talking to His disciples and He was stating, Behold the fig tree (Israel) and all the trees (The Jewish People, His heritage); When they now (Israel and the Jewish people) shoot forth (became a nation) “you yourselves” (the Jews) know that my return is at hand. Given the intense persecution the Jews have endured over the centuries they should be known as trees for enduring. In Matthew 24:34 Jesus said “this generation shall not pass,” Jesus is telling us something happened as a starting point on which to add the generation age to enable us to come to a conclusion on the timing of these events. Israel became a nation in 1948. When reading Psalms 90:10 we find a generation to be 70 years but not more than 80 years so the year 1948 plus 70- 80 years is equal to the date that all these things will be fulfilled according to this scripture. The final date would then be from 2018-2028 that Jesus would return. Could the date of return be between 2018 and 2028 with the confirmation of the covenant being the catalyst that leads to the final 7 years and the final date and the rapture of the church? Yes, The confirmation of Daniel 9:27 must happen between 2014 and 2021. Why 2014? Because it didn’t happen in 2013, so we must continue to watch for it to happen each year until 2021. The date of 2028 could end up being a lower date between the years of 2021 and 2028 for the return of Christ. Matthew 24:32-34 states, this generation shall not pass, Psalm 90:10 states a generation is 70-80 years. Example; if the Confirmation of Covenant happens in 2016 the date of Christ’s return will be 2023. It is my belief that this confirmation and the destruction of Iran’s nuclear facilities will happen in the year 2014 making the return of Christ 2021. Why these two dates? Israel can’t wait much longer to insure that Iran does not obtain nuclear weapons. This is speculation here but these dates end in a number divisible by seven or end in seven, Gods perfect and completion number. Jesus said in John 13:19 and in 14:29, “I have told you these things before they happen so that when they do, you will believe in Me.” WW1 Started on 7/28/14 these end numbers are divisible by 7. A coincident? We can know by Daniel 9:27 that the last “seven weeks” (or in prophecy seven years) begins with the confirmation of the covenant as in Daniel 9:27. If we can validate the signing of that covenant or treaty we should be able to come to a final year of the 7th trumpet sounding and the rapture of the church. The Fall of America will happen close to 3½ years after the confirmation of the covenant or it might be exactly 3½ years. You have seen a lot of repeats on scriptures, this was done on purpose to help in your cross reference and perhaps lead you in to a better understanding. As you have read most of this book, I’m sure you have noticed a lot of timing days like 1260, 1263 ½, 1290, 1335 and so on.. I have not found where anyone that teaches prophecy has clued in on these numbers. They are overlooked and many say there is no timing of events in the Bible. I say they’re overlooking some very important scriptures and days. The Lord told Daniel to seal the scriptures. Daniel 12:4 But thou, O , shut up the words, and seal the book, even to the time of the end: many shall run to and fro, and knowledge shall be increased. The next two pages show a time chart. All the dates are straight from the Bible and the seven year time schedule is taken from our calendar. The Lord said seal it up til the end time so I am confident that he meant for us to place our calendar with these last seven years. Based on that. I was a little dumfounded when I divided the seven years into two parts. I got 1277½ days, double 7’s. I thought wow, how cool is that, but, I had no idea what was about to unfold. 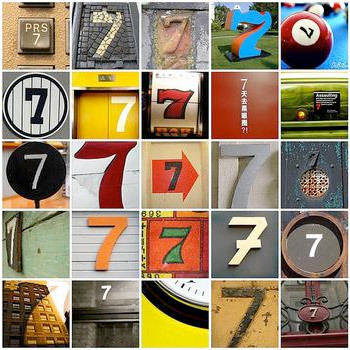 When you view the incredible 7’s page1 you will see why.